The Tyrannosaurus rex is believed to be one of the largest carnivorous dinosaurs that ever existed, and now researchers have uncovered a fossil of the largest one ever found in Canada. According to a new study, the largest Tyrannosaurus is believed to have weighed almost 20,000 pounds. The fossil of the largest Tyrannosaurus ever found has been nicknamed “Scotty.” Researchers believe it measured about 42 feet in length and lived in prehistoric Saskatchewan 66 million years ago. Upon close examination of the reptile’s leg bones, researchers say it weighed about 9.7 tons, which makes this specimen bigger than any other carnivorous dinosaurs unearthed previously. Their findings were published last week in The Anatomical Record. Although the study is recent, Scotty was initially discovered in 1991. However, the largest Tyrannosaurus‘ bones were locked in hard sandstone, so it took researchers more than a decade to remove them, assemble the skeleton, and study it. They named it for the celebratory scotch that was imbibed on the night Scotty was discovered. Scientists don’t believe T. rexes had a long lifespan. Researchers say that as reptiles which grew incredibly fast, these dinosaurs may have ended their lives relatively young. Scotty in particular is estimated to have lived into his early 30s when he died. Researchers also found plenty of battle scars which show he had fought a lot for its survival. 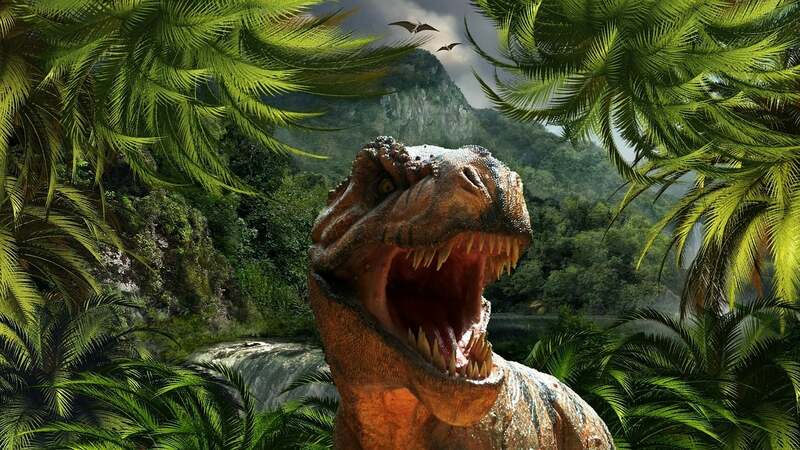 After taking a closer look at the dinosaur’s injuries, scientists found that its jaw appears to have been infected, and it had a couple of broken ribs and a large bite on its tail, which they believe was caused by another T. rex. Scotty will be presented publicly in a new exhibit at the Royal Saskatchewan Museum in May.